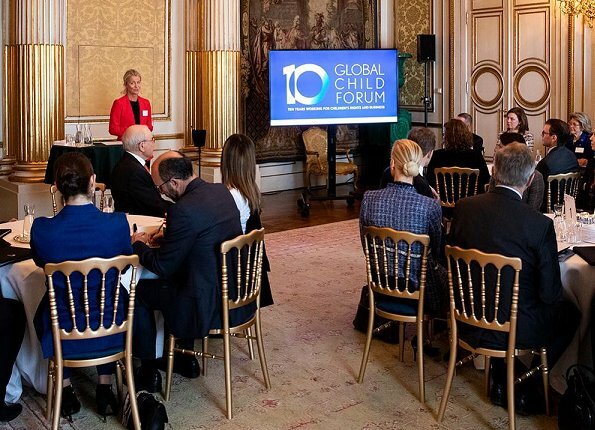 On March 27, 2019, Swedish Royal Family, that is, King Carl Gustaf, Queen Silvia, Crown Princess Victoria, Prince Daniel and Princess Sofia attended Global Child Forum Partner Advisory Board Meeting held at Stockholm Royal Palace. The purpose of the meeting was to collaborate and to discuss projects aiming to promote children's rights. 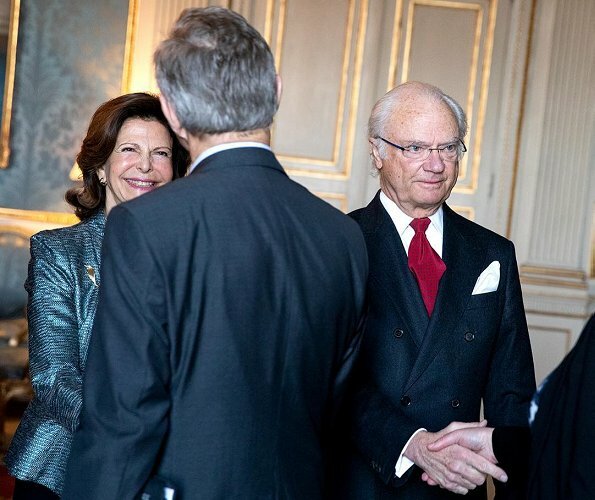 Global Child Forum was initiated by the King and the Queen of Sweden in 2009 as part of their long-standing commitment to children’s issues. Princess Victoria´s blue suit is a miss for me. It does not go with the beautiful hairdo. 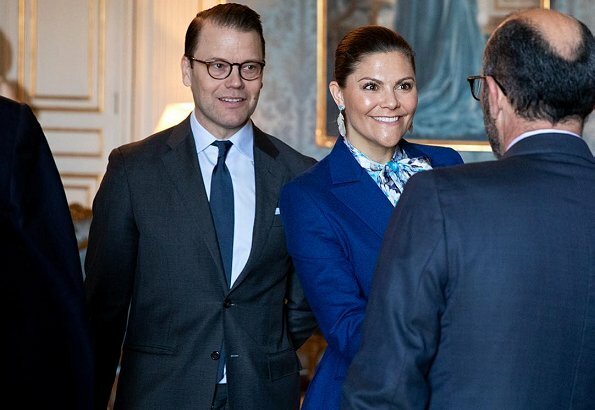 Where as Prince Daniel is looking handsome with his suit and hairdo, great. 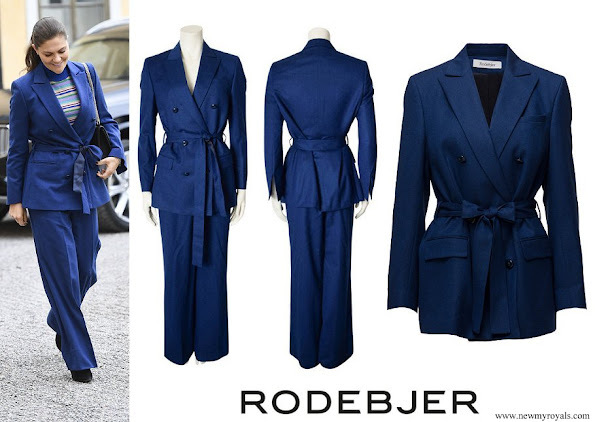 Victoria's blue suit is ok. Sofia looks like she has a dark jacket on her chair. White blouse looks fine. Daniel looks good in his suit. 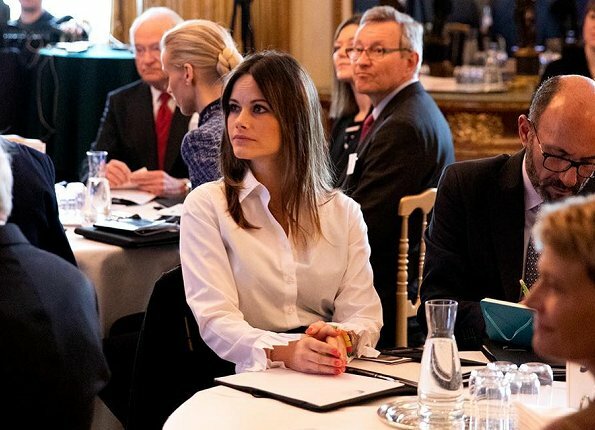 They all look professional and engaged. ALL THREE Royal Ladies look nice from what one can see, of their fashions today.Victoria's blue suit is a lovely color, nice blouse. Sofia blouse seems to be very nice, from what one can see.Silvia's smile is the biggest and nicest.From the jacket one can see much. The blue suit is ugly. The queen is OK. Sofia is OK too. No one is superbly dressed this time. The queen and Sofia are the best.